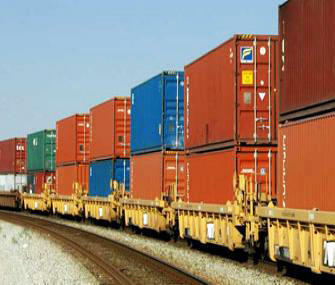 The volume of transit container traffic in the direction of the China-Europe-China through Kazakhstan increased to 104.000 containers (by 100 times), said the Minister of Investments and Development of Kazakhstan Zhenis Kasymbek, during the "TransEurasia-2017" conference, the press service of the ministry said in a message. “It is planned to expand the volume of container transit in this direction to 800,000 containers, and generally the traffic is intended to be increased to 2 million containers by 2020,” Kasymbek said. He added that, the number of railway lines between Asia and Europe grew from 72 block-trains in 2013 to 1200 by the end of 2016. Kazakhstan has launched transport and logistics services for the China-Europe-China regular container lines on 15 international routes, starting from the main points of consolidation of China's cargo flows. The minister stressed that Kazakhstan will receive $5 billion form the transit by 2020, adding that the transport logistics and transit become an independent part of the Kazakh economy.